The highly-agile Aster was designed to intercept next-generation supersonic anti-ship missiles. The Aster missile family is generally flown in two-stage configuration. The Aster 15 and Aster 30 missiles are identical, other than the size of the booster. The booster size determines the missile's range. This semi-scale kit of the ground-to-air Aster missile represents the Aster-15 missile. 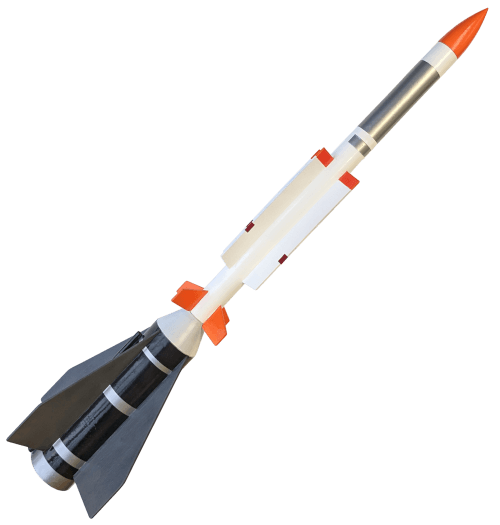 This military scale model rocket kit is two-stage and flies on D to E engines in the booster and B or C in the second stage.